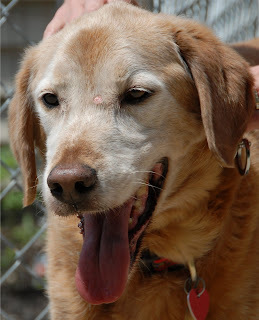 It is always nice when adopters recognize that older dogs make such great pets. Fortunately for Cooper, a Golden Retriever/Lab mix, that happened yesterday, and he happily went off to his new home last night. We were all falling madly in love with him, so thankfully he wasn't at the shelter for too long or we would have all cried when he left.